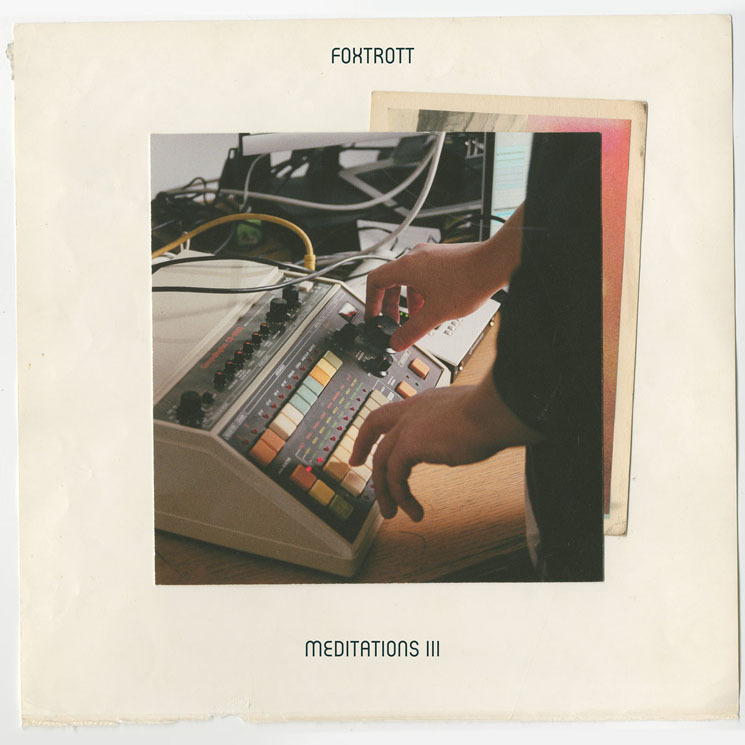 As the culminating piece of Foxtrott's Meditations I-II-III LP — released as a sequence of EPs over the year — Meditations III finds Marie-Hélène L. Delorme ending her second album with a reflective but potent energy. It's a downtempo trio exploring both relationships and self, cresting on waves of Delorme's voice as much as its crisp instrumentation. "Wide Awake" rises up on a choral backing and minimalist rattles of drum, letting lines like, "You cannot save me / change me / pray me away" offer up one commanding half of a conversation. "Does my appearance make you restless? I'm talking to you." "Deliver" doubles down on voice as the guiding element of its structure: synth and bass tussle behind verses of longing for someone as they are ("It's not my place to change you"), with Delorme's voice giving the track momentum, exploding into layers at the chorus.